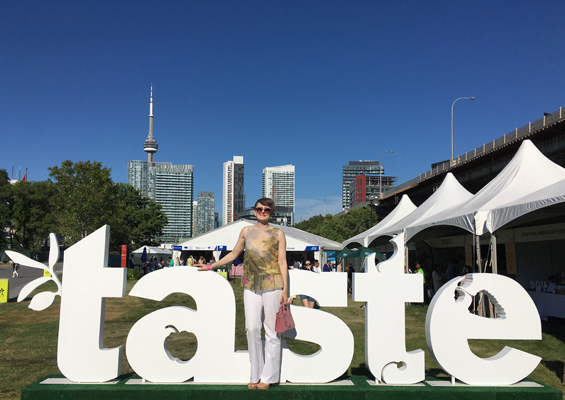 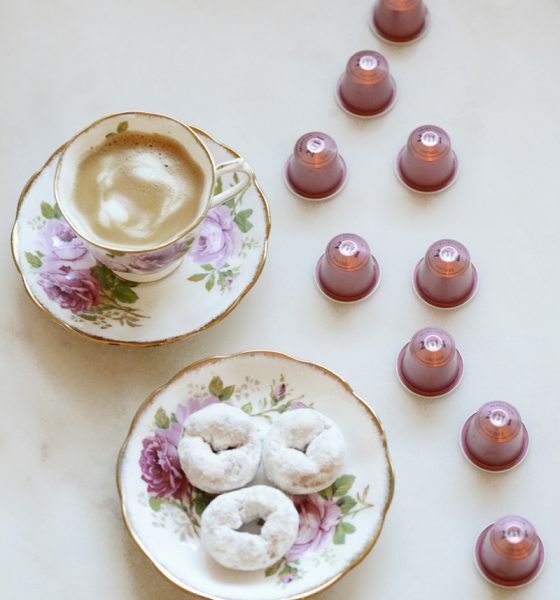 Two weeks ago, Nespresso invited me to attend Taste of Toronto – a food lovers’ festival where renowned restaurants from the metropolis convene to offer up small plates of their creative fare. 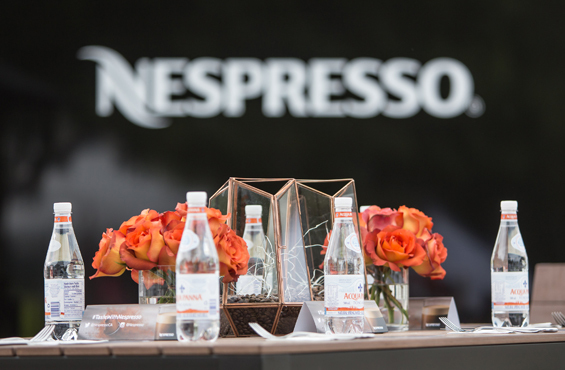 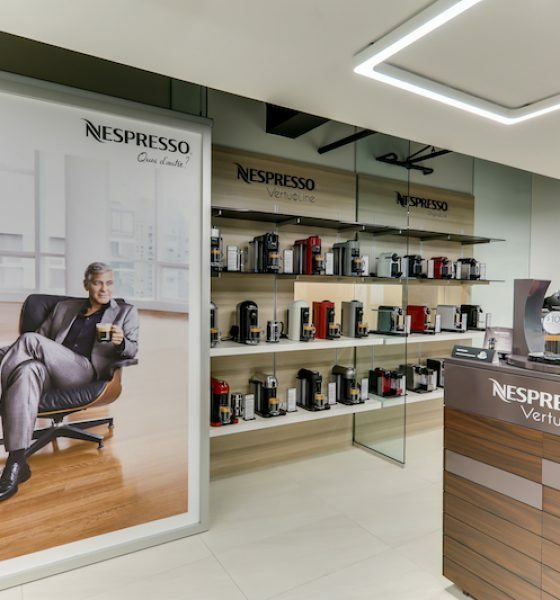 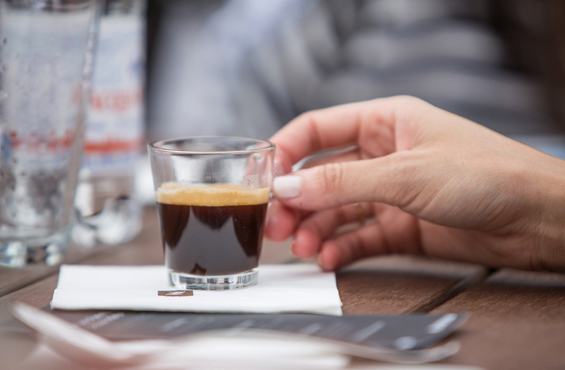 Nespresso was also there to launch their latest Lungo – the strongest one so far on the Nespresso Lungo intensity scale. 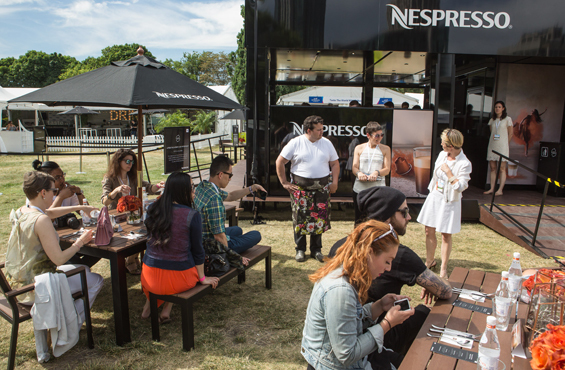 I had the pleasure of sitting down at the festival, just prior to the opening, to a delightful pairing of gourmet creations with their caffeinated counterparts. 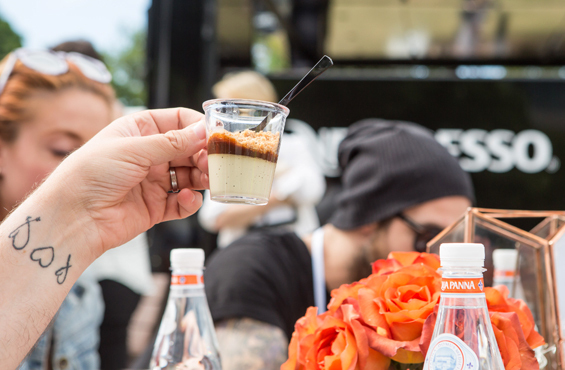 Festival goers were also treated to a sampling of the new Envivo Lungo paired with a grilled pineapple and ginger cake crumble amuse-bouche. 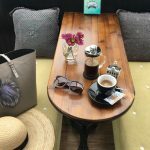 Below are a few photo souvenirs and a quick video of my gourmet trip to Canada’s largest centre. 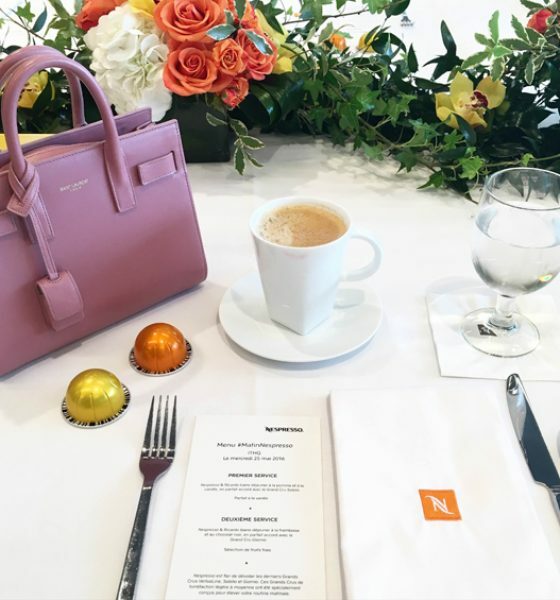 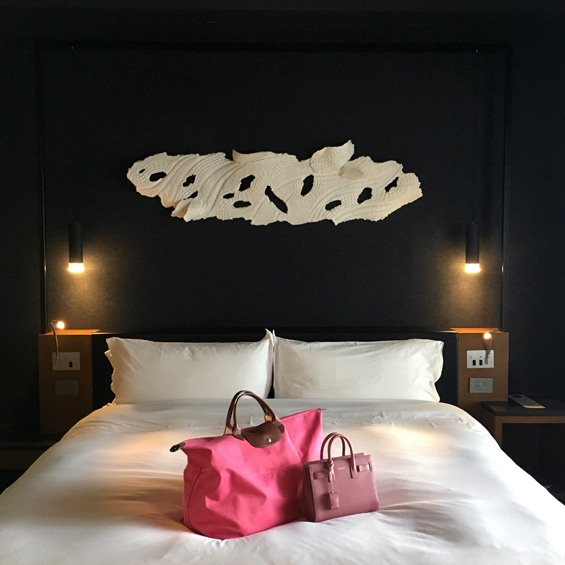 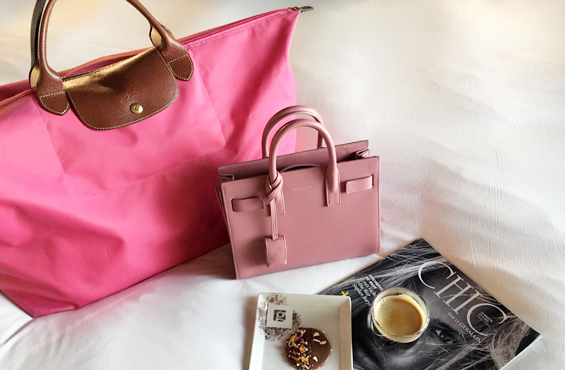 Of course, Nespresso put me up at l’hôtel Germain Toronto – where I was very happy to drop off my bags and prepare a Nespresso before heading out to lunch with the Nespresso PR team. 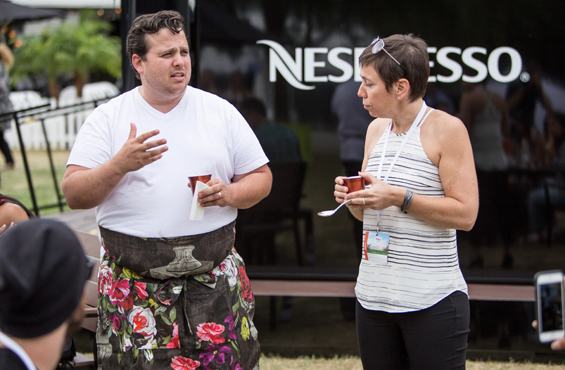 One of the world’s top sommeliers, Elyse Lambert presented the Nespresso pairings with dishes prepared by Chef Victor Barry and his team from Piano Piano The Restaurant. 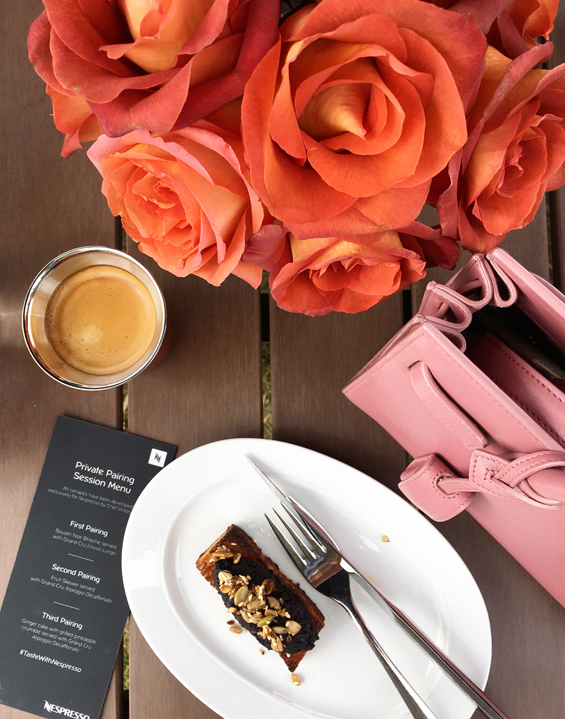 I particularly enjoyed this boudin noir brioche paired with the new Envivo Lungo (a strong coffee which has a slight caramel flavour). 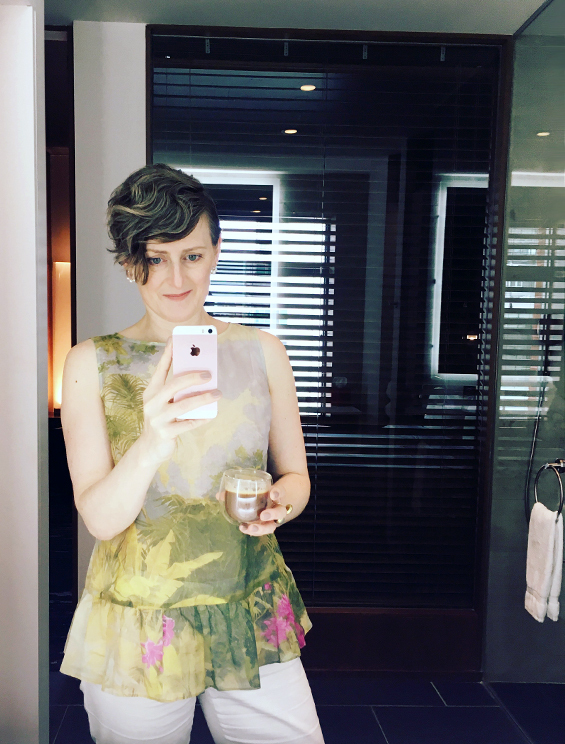 And that foie gras parfait – which tasted like dessert. 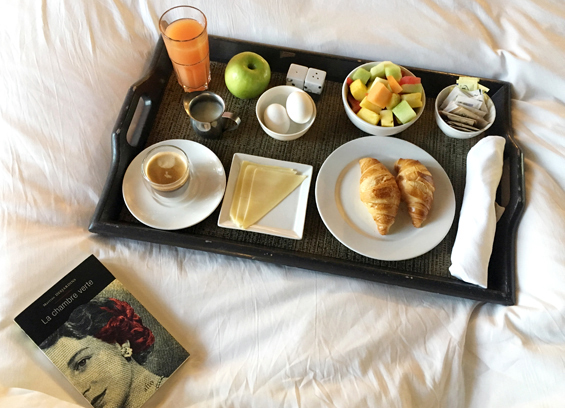 My own personal péché-mignon (guilty pleasure) during my stay was to order room service for breakfast the following morning before catching my flight back to Montreal. 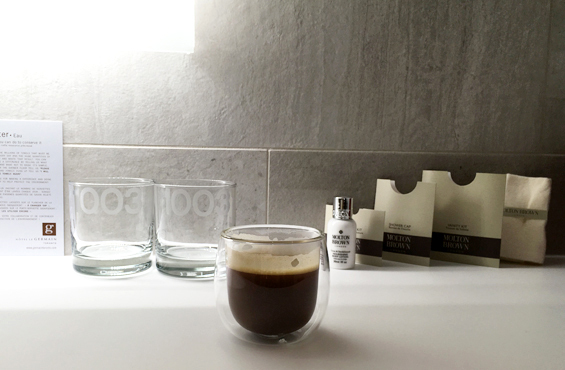 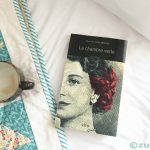 This post is sponsored by NESPRESSO – opinions are my own.